Ten years ago, on the initiative of the Madrid City Council and Madrid Fusión, it started with a program of activities and gastronomic offers. Although el pincho de tortilla and el bocata de calamares remain to be the specialty, the city has been profoundly transformed. Also noteworthy is the effort and dedication of workers and small and large restaurants. Without them it would not have been possible to create Gastrofestival, much less convert it to what it is ten years later today. 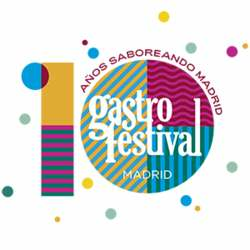 Gastrofestival offers Protected content in Madrid to taste there best Tapa with a Botellín de Mahou for only € 3. So let`s taste a few and meeting new places like Casa Ciriaco. Located at the Calle Mayor 84, in the same building where the famous anarchist Mateo Morral, from a balcony on the 4th floor, threw a bomb hidden in a bouquet of flowers during the nuptial procession of Alfonso XIII on the 31st. of May of Protected content . We start at TheProtected content near Mercado San Miguel, then we move to further bars-restaurants around the area. Each participant pays for their own consumption.